The 11th Annual Byline Bank Chicago Spring Half Marathon & 10K, produced by Life Time, celebrates the city’s emergence from winter hibernation, the Chicago Spring Half Marathon & 10K delivers an intimate urban setting with a gorgeous lakefront course, charming finish line complete with a hot gourmet breakfast buffet, Athletico recovery zone, and a Spring Market featuring local vendors, Spring flowers, beer garden, live acoustic music and more. *Course pending final approval by the City of Chicago and Chicago Department of Transportation. Ignited by Athlinks – Live Tracking and more! Made In Chicago – Champions! The Chicago Spring Half Marathon & 10K experience is at the pinnacle of athletic events thanks in part to our wonderful sponsors. Todays Byline Bank Chicago Spring Half Marathon & 10K has a rich history in Chicago’s running community. The first race, the Magellan Development Chicago Spring Half Marathon and 10K took place in the Spring of 2009, and produced by CAPRI events. 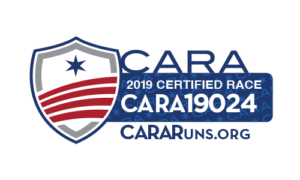 Jan Caille, owner of CAPRI Events, along with Jim Brimm started the Chicago Spring Half Marathon and 10K to fill a void in the Chicago running community after a previous 10K, The Main Course 10K, was no longer held the same weekend. The Main Course 10K had taken place for 27 years alongside the National Restaurant Association which holds it’s annual convention here in Chicago on the same weekend. At the time, the Main Course 10K was the largest 10K held in Chicago. In it’s inaugural year the Chicago Spring Half Marathon and 10K had 2,400 participants start and finish in Chicago’s new Park at Lake Shore East. The Park at Lake Shore East and it’s surrounding location was developed by Magellan Development and showcased Chicago’s lakefront and was a perfect intimate setting for a spring race. Keeping with it’s ties to the Restaurant Association the race featured a hot breakfast buffet for all participants, a tradition which holds strong. By it’s third year the race had grown to 4,500 participants requiring the start line to be moved to the lakefront, while the finish line remained within the park. In early June of 2009, U.S. Road Sports launched the 13.1 Series of road races featuring the Allstate 13.1 Chicago which was held at the South Shore Cultural Center. 13.1 Chicago was unique in that it featured Chicago’s South Shore, included a 5K race and finished with a party along the beautiful beach located behind the South Shore Cultural Center. CAPRI Events was acquired by Life Time, Inc. in 2011 taking on ownership and production of the Magellan Chicago Spring Half Marathon and 10K, Turkey Trot Chicago 5k|8K as well as the Chicago Triathlon. By 2013 the Chicago Spring Half Marathon and 10K had over 3,000 participants. In September, 2013 Life Time went on to acquire U.S. Road Sports which included the 13.1 Race Series, 13.1 Chicago, Chicago Half Marathon and 5K along with the Miami Marathon and Half Marathon. 2014 would be the final year 13.1 Chicago was held at Chicago’s South Shore Cultural Center with just over 4,000 participants. Opting to combine resources and focus on producing one great event, in 2015 the Chicago Spring Half Marathon and 10K merged with the 13.1 Chicago creating the 13.1 Chicago Spring Half Marathon and 10K with 6,000 participants. Continued growth in Chicago’s running community and a dedicated team committed to providing the best participant experience has allowed the Chicago Spring Half Marathon and 10K to grow the event. With over 8,000 participants the race is now held in Chicago’s Maggie Daley Park. Holding to tradition, the race features a beautiful scenic Chicago course, an intimate finish line and a Spring Market serving participants the traditional gourmet breakfast buffet, local craft beer and live acoustic music. In recent year the race has reached sold out capacity, making this a must-do-race on the Chicago running circuit. Today Life Time continues to produce the Byline Bank Chicago Spring Half Marathon and 10K along with the Chicago Triathlon, Chicago Half Marathon and 5K and Turkey Trot Chicago 5K|8K. Life Time’s award winning production office, located in Chicago’s Fulton Market District, also assists in the production of numerous Life Time Events including the Miami Marathon and Half Marathon, New York City Triathlon, Torchlight 5K, Life Time Tri Minneapolis and the Life Time Tri Series.